Put-in-Bay is a small island, but we pack so much into our few square miles, that there’s no way you can see it all in one trip. So many people ask us about the best of the best. 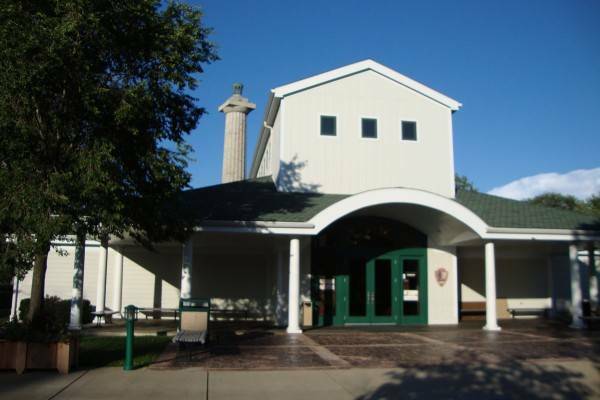 What are the can’t miss Put-in-Bay attractions? Well wonder no longer! This is our specially curated list of the best that Put-in-Bay has to offer! There’s plenty more great things to do than this, but if you’re only here for a day or two, these are the things that you can’t miss. There may not be a Put-in-Bay tunnel to see, but there is more to see than you can imagine. Once the Miller Ferry or Jet Express brings you to Put-in-Bay’s shores, you’ll have to find a way to see as much as possible in the short time that we are lucky enough to have you as a guest. That’s why we want to have a list of the best of the best, the things that are must-see on our wonderful little island. 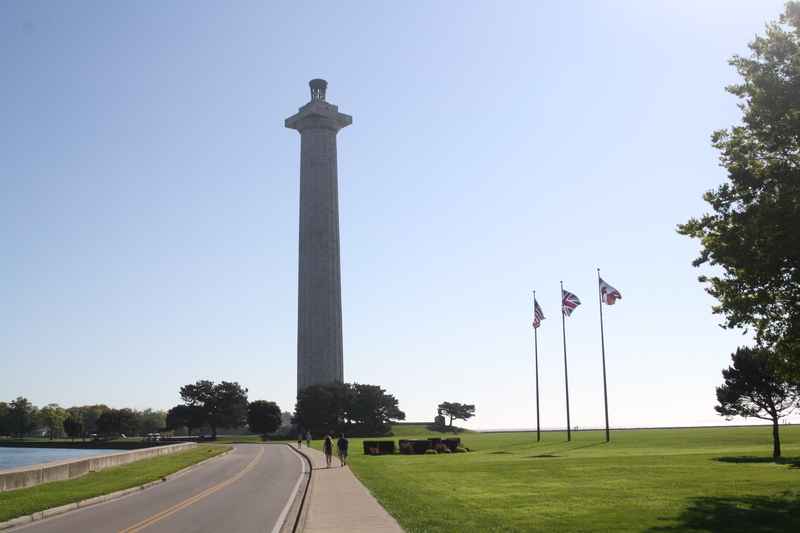 By far Put-in-Bay’s most famous attraction, Perry’s Victory and International Peace Memorial is also our #1 must-see attraction on the island. Towering over the island, it is for many the perfect visual representation of Put-in-Bay and South Bass Island. In fact you will see it adorning the logos of many island businesses (including our own! Take a look at the I in our site logo!) and t-shirts and other apparel you’ll find on the island. Take a trip up to the top for a breathtaking view of the island, and learn all about Put-in-Bay’s place in American history in the War of 1812. Family Fun Center: Putt-putt, gemstone mining and more! 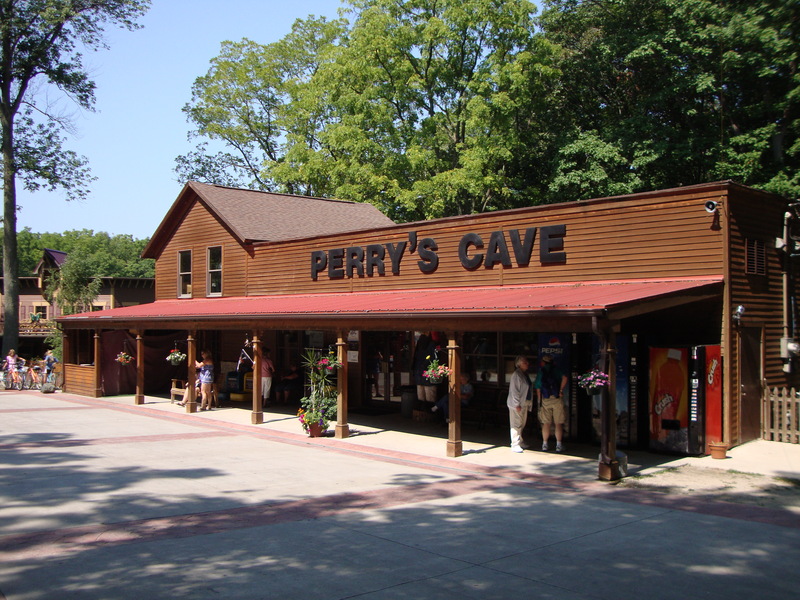 If you’re bringing the whole family to the island, and you need some all-ages fun, look no further than Perry’s Cave and Family Fun Center. Here you will find putt-putt, a life-size maze to navigate, and an incredible butterfly conservatory called the Butterfly House. You can also check out my personal favorite, the gemstone mining. I vividly remember sifting through the bag of rough as a child and finding amazing geodes inside, even now 25 or so years later. It’s a unique and memorable experience for all kids. Perry’s Cave: An Underground Delight! The centerpiece, though, is Perry’s Cave itself, a stunning underground cave and lake 5 stories below the surface. With amazing tour guides who can tell you both the geological and historical significance of the cave and make every trip down a fun and enlightening experience, Perry’s Cave is not to be missed. One thing you won’t find listed above, but we still consider a must-do during your time on the island, is to visit some of the Put-in-Bay bars and pubs that have made the nightlife on the island famous all over the area. Bachelor and bachelorette parties flock to the island on summer weekends for their bashes thanks to the downtown strip of bars that basically makes a bar crawl! Enjoy some drink specials or just people watch, either way you’ll have a blast! All of the Above and So Much More!!! That’s not to say that this list above is the be-all end-all. There may be the perfect thing for your interests waiting on one of our other things to do pages, so check them out. But we do think this list represents a collection of things that everyone will want to check out while they’re visiting the Key West of the Midwest, Put-in-Bay Ohio!